They destroyed his home! They burned his parents alive! Even almost all the farm animals were also killed! Now Aaron, accompanied only by his most trusted friends, a camel, donkey and sheep (hey they were the only survivors of the big farm fire!) 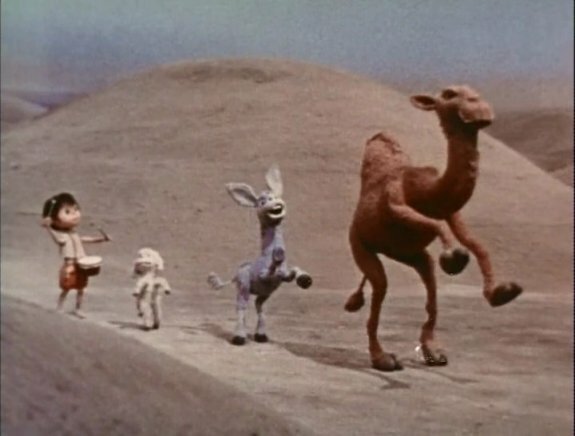 with the only connection to his past life being the prized drum given to him by his parents, wanders the desert pounding the skins while his barnyard bros dance, having forsaken humanity forever! But just like any dude today trying to bug out and live off the grid, it’s the taxman that inevitably intrudes on hislife. No, the Romans hadn’t suddenly instituted a tax on angry orphans and their magic animals, but they are collecting one across the realm. And Ben Haramed, small time operator of a lame traveling show knows an opportunity when he sees the drumming and dancing of Aaron and his pet posse. While people are waiting in to pay their taxes, he will entertain them and make big profits! Aaron though isn’t too keen on sigining a contract to perform what with his hatred of all humanity, but that’s nothing a little kidnapping can’t fix, right? Ben shows all the genius of a guy who is trying to make a career featuring clumsy gymnasts and a juggler who has a bad case of the drops when he forces Aaron to perform. How did he think that was going to end well when he even had to literally paint a smile on Aaron’s face? And it doesn’t of course when following his well received performance, Aaron goes all tortured artist on the crowd, denouncing them as horrible people! But all is not lost because Ben runs into the Three Wiseman on their way to Bethlehem and at least gets some gold out of his association with Aaron by selling Aaron’s camel to them! For Aaron there can be only one option. He has no choice! Track them, find them and kill them! It’s vengeance straight out of the Book of Expendables 2! But as psychologically damaged as Aaron is, he doesn’t really have that professional merc mentality or even know how to begin. 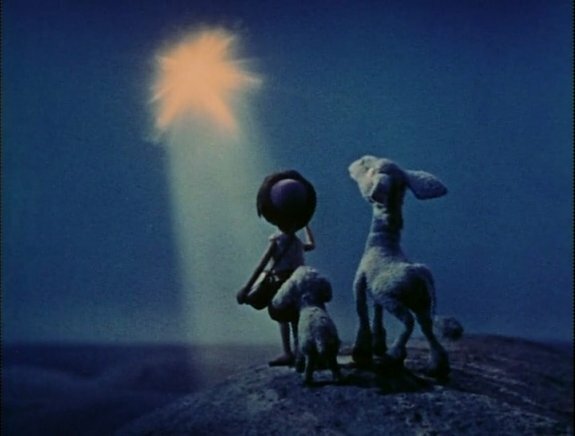 Thankfully his remaining animal friends have a little bit more than him going on upstairs and remind him that the three kings were following the big star in the sky! Next stop Bethlehem! And the biggest drum solo of his whole miserable life! If somehow, you had made it through your life without hating the Roman Empire, what happens next will surely change your mind! Aaron was just trying to rescue his camel friend when a Roman chariot comes out out of nowhere and runs over Aaron’s lamb! As heartbreaking as that was, it was a missed opportunity in that Aaron did not rage against the Old Testament God he must have been familiar with for all the horrible things that had been visited upon him in his young life. He simply picked up his broken friend, carried him to one of the Wiseman and asked him for help. Wisely though, the Wiseman tags in the baby Jesus to help out! 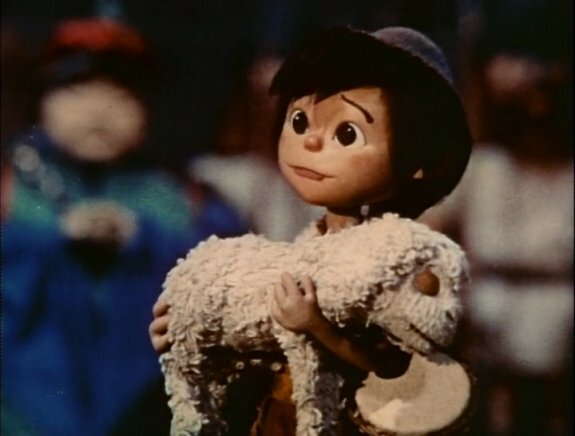 In what would only be a spoiler if you somehow were watching a cartoon about the Little Drummer Boy without ever having heard the song, Aaron hasn’t got any gift to give Jesus! The hell you don’t, son! If it is one thing Jesus loves, it some badass drum playing and if there’s one thing in this world you were built to do, it was to be civilization’s first drumming legend paving the way for the likes of Buddy Rich and John Bonham! But even they never had so much riding on a drum solo! Not only the life of your best friend is at stake, but the restoration of your faith in all of humanity! No pressure dude! The only thing comparable in history is that ultimate Biblical Battle of the Bands between fiddle-playing Johnny and freaking Satan himself as detailed in late 1970s hit tune “The Devil Went Down to Georgia”! While admittedly both songs are insanely catchy, Aaron’s concert has the edge since Johnny is just as arrogant about his talents as the Devil and is willing to risk his soul for gold. Aaron just wants his friend back. And the baby Jesus is more awesome than Satan of course! Surprisingly the worst parts were the songs that weren’t the title song. A couple of annoying and forgettable tunes (one was about why animals don’t smile. Huh?) felt entirely superfluous, destined for instant failure in a show about such a well-know classic Christmas song. The most astounding Christmas miracle related to this show? 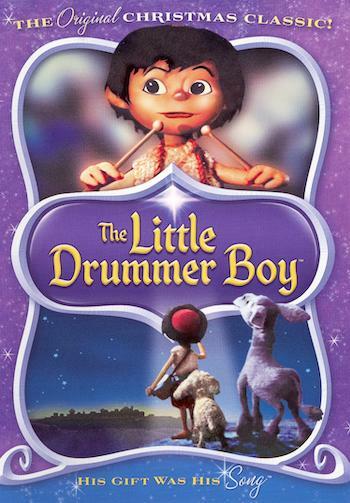 The Little Drummer Boy Book II!